Resurrection 1x05 "Insomnia" - Bellamy struggles to keep Jacob safe from outside forces. But a tragic incident from his past as a cop continues to haunt him. 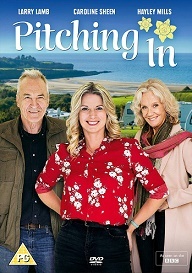 Elaine is pressured to find out where dad Caleb hid the stolen bank money before the FBI comes to town and learns the truth about Arcadia. Maggie delivers shocking news to Rachael, and Caleb gives Bellamy a chilling warning, on "Resurrection," Sunday, April 6th on ABC. Hannibal 2x06 "Futamono" - When a city councilman's body is found in a parking lot, intertwined with a tree, the artistry and missing organs suggest the work of the Chesapeake Ripper. Jack (Laurence Fishburne) and the team race against time to catch the Ripper while he's still on his killing spree. When Will (Hugh Dancy) suggests the possibility that the Ripper is filling his pantry with the victims' organs, Jack crashes Hannibal Lecter's (Mads Mikkelsen) dinner party to collect evidence and test the meat for human DNA. Jack's growing suspicions drive Alana (Caroline Dhavernas) even closer to Hannibal, believing he is the victim of a witch hunt. Meanwhile, clues from the tree man help the BAU zero in on a location they believe the Ripper used. There they discover the most shocking revelation of Jack Crawford's career—Miriam Lass alive. Once Upon a Time in Wonderland 1x13 "And They Lived..." (Series Finale) - The all-powerful Jafar succeeds in making his father love him and forcing Anastasia into thinking she loves him. After Alice, Amara and Cyrus escape, Jafar imprisons the Jabberwocky and calls upon an army of dead soldiers to do his bidding. Meanwhile, Alice and the White Rabbit raise their own army to fight Jafar for the realm and a final confrontation between Alice and Jafar takes place at the Well of Wonders on the season finale of "Once Upon a Time in Wonderland," Thursday, April 3rd on ABC. Arrow 2x18 "Deathstroke" - Slade (Manu Bennett) makes his move against Oliver (Stephen Amell) and the repercussions are enormous. While Oliver scrambles to protect his family, a key player in his team starts to question Oliver's decisions. Meanwhile, Isabel (guest star Summer Glau) makes her move to take Queen Consolidated away from Oliver. Guy Bee directed the episode written by Marc Guggenheim & Drew Z. Greenberg (#218). The Tomorrow People 1x18 "Smoke and Mirrors" - Fed up with Jedikiah's (Mark Pellegrino) constant lies about his father, Stephen (Robbie Amell) makes a choice about his alliances. Trusting in Ultra and Hillary (guest star Alexa Vega), Stephen wants to bring in a break-out to Ultra to see if things have really changed, much to Cara's (Peyton List) dismay. Meanwhile, Stephen's brother (guest star Jacob Kogan) goes missing after Jedikiah forces Stephen to protect him. Luke Mitchell and Aaron Yoo also star. Dermott Downs directed the episode written by Jeff Rake and Leigh Dana Jackson (#118). Resurrection 1x04 "Us Against the World" - Bellamy and Sheriff Fred form an uneasy partnership to find Caleb, who has gone on the run after Dale's murder. After Jacob suffers a seizure, Maggie gives him a checkup at the clinic and is shocked by what she finds. Pastor Tom adjusts to the unexpected presence of his old love Rachael (guest star Kathleen Munroe) in Arcadia, on "Resurrection," Sunday, March 30th on ABC. Ricky's award-winning comedy drama Derek returns to Channel 4 in the UK on 23rd April 2014 for a brand new series - and on Netflix around the world soon after. A year has gone by since we last visited Broadhill Retirement Home and there's some new residents, additions to the staff and the welcome return of a few familiar faces. Once Upon a Time in Wonderland 1x12 "To Catch a Thief" - In flashback, the Knave hunts Alice per Cora's directive and he finds himself striking a deal to get his heart back, while in present day Wonderland, Alice and the Knave's friendship is tested as he does Jafar's bidding and steals from her. Meanwhile, the Jabberwocky attempts to free herself from Jafar's control and Jafar is confronted by his former partner, on "Once Upon a Time in Wonderland," Thursday, March 27th on ABC. Louis holds his breath as Marie takes aim. She delivers an excellent shot and quick kill to an Impala. Louis wants to know how she feels about her actions. The "Glee" star was back to perform this epic single from her album. Check it out! Revolution returns April 2nd on NBC. Arrow 2x17 "Birds of Prey" - When Frank Bertinelli (guest star Jeffrey Nordling) is arrested, Oliver (Stephen Amell) knows it's only a matter of time before his daughter, Helena, AKA The Huntress (guest star Jessica De Gouw), returns to town. To make matters worse, Laurel (Katie Cassidy) is picked to try Frank's case, putting her right in the path of Helena. Oliver tells Sara (Caity Lotz) he will handle his ex-girlfriend, but when Helena takes hostages at the courthouse, including Laurel, the Canary will stop at nothing to save her sister. When The Huntress and Canary meet, an epic battle begins. Meanwhile, Roy (Colton Haynes) realizes he needs to keep Thea (Willa Holland) safe, but doesn't like the way he is forced to go about it. John Behring directed the episode written by Mark Bemesderfer & A.C. Bradley (#217). Supernatural 9x17 "Mother's Little Helper" - Dean (Jensen Ackles) struggles with the after effects of the Mark of Cain. Meanwhile, Sam (Jared Padalecki) hears about a case where straight-laced people are turning into violent murderers. Sam suspects possession and suggests to Dean that they investigate, but Dean tells him to go without him. While interviewing the local townsfolk, Sam meets an elderly woman named Julia (guest star Jenny O'Hara), who tells him the Men of Letters came to town in 1958. Josie tells Sam the story of a young man named Henry Winchester (guest star Gil McKinney) and his female companion, Josie Sands (guest star Alaina Huffman). While Sam is away, Crowley (Mark Sheppard) tests Dean. Misha Collins directed the episode written by Adam Glass (#917). Resurrection 1x03 "Two Rivers" - Exhuming Jacob's grave only deepens the mystery of his return. Henry struggles to accept that Jacob is really the son he lost 30 years ago. Bellamy and Maggie search for a connection between Jacob and Caleb's deaths and wonder if the local river may hold a clue. Their digging also unearths Caleb's criminal past -- he robbed the bank his daughter Elaine works at just days before his death. Pastor Tom's life is changed forever by a shocking turn of events, on "Resurrection," Sunday, March 23rd on ABC. Once Upon a Time 3x14 "The Tower" - Enter a tangled web of mystery as Rumpelstiltskin returns. And Rapunzel, Rapunzel, lets down her hair. Everyone in Storybrooke beware! Dara O Briain explains some consequences of SpaceTime from Einstein's Theory of Relativity. Namely the faster you move from a source of gravity like the Earth, the more time you can "acquire". (i.e. to the traveling party, those stationary are living "faster"; whilst to those who remain on Earth, their counterparts in motion live "slower" at any given moment). Dara then chats to Professor Janna Levin about what would happen if two black holes collided. Last in series. Agnes returns to the studio to do some more work and finds Henri packing his things to leave. They talk and Agnes has an idea before they both say good-bye forever...one last walk in the park like they used to? Goku's final tale. Dragon Ball GT Season 2 includes the Super 17 and Shadow Dragon Sagas, as a bonus A Hero's Legacy movie. The destiny of a legendary warrior, his long path wrought with peril, reaches its apex. The fate of Goku is now tied to that of the world and the most epic toil ever rested on the shoulders of one man has come to be. As one apocalypse is thwarted, another looms! Gokus heroic friends fall around him and the warrior must steel his nerve, for two evil scientists have created the perfect killing machine. Android 17. As the abomination deals out terror with mechanical precision, horrible villains from battles past rise again. Yet even more chaos awaits. The most dangerous power of all time is stirring. The people of Earth have relied upon the power of the Dragon Balls to maintain peace and order, but the mystical relics are cracking and from their creeping chasms, seven Shadow Dragons are unleashed. Each more deadly than the last. Also includes the epic season finale movie. 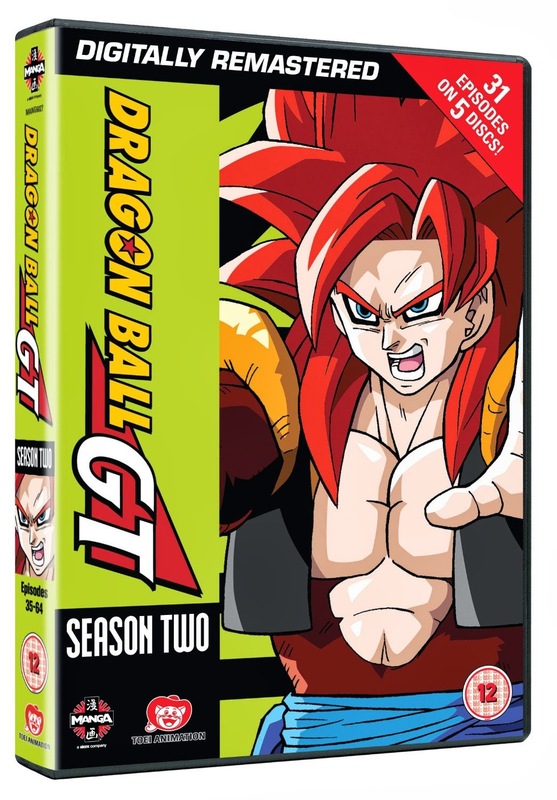 Dragonball GT: Season Two comes to DVD on Monday 17th March, and we have a DVD box set to give away courtesy of Manga Entertainment UK. What is the name of the perfect killing machine? Once Upon a Time in Wonderland 1x11 "Heart of the Matter" - Alice and Cyrus discover alarming information involving prisoners Jafar has under his control and changes their priorities. Meanwhile, the Red Queen is in critical danger and no one can help her except the Knave by surrendering information to Jafar that he's been desperately seeking. In flashback, Anastasia is about to marry the King and strikes up a friendship with Cora that directly impacts Will. Cora also confronts Will resulting with him asking her for a shocking demand, on Once Upon a Time in Wonderland, Thursday, March 20th on ABC. Hidden between the lines of the history books is the story of Mary Stuart, the young woman the world would come to know as Mary, Queen of Scots. The teenage Mary is already a headstrong monarch ─ beautiful, passionate and poised at the very beginning of her tumultuous rise to power. Starring Adelaide Kane, Toby Regbo, Torrance Coombs, Megan Follows, Alan Van Sprang, Celina Sinden, Caitlin Stasey, Anna Popplewell, and Jenessa Grant. Justin Timberlake performs his song "Not a Bad Thing" for The Tonight Show audience. Revolution 2x17 "Why We Fight" - While Dr. Porter (Stephen Collins) and Miles (Billy Burke) venture into Willoughby in search of allies within the town, Monroe (David Lyons) seizes an opportunity to surprise the Patriots. Neville's (Giancarlo Esposito) political maneuverings put him and Jason (JD Pardo) in serious danger, as Aaron (Zak Orth) and Priscilla (Maureen Sebastian) continue on their journey. Get a look at what to expect when Falling Skies returns for more alien action on June 22. The acclaimed sci-fi series, starring Tatiana Maslany, returns on April 19th. The Following 2x09 "Unmasked" - Ryan, Max and Weston discover information that leads them closer to uncovering the mole within the FBI - which results in complications of its own. Meanwhile, Joe and Micah execute a plan that threatens the Korban cult in order to announce a message to Ryan and the world in the all-new 'Unmasked' episode of THE FOLLOWING airing Monday, March 17th on FOX. Bones 9x17 "The Repo Man in the Septic Tank" - A repo man's remains are found in a septic tank, and the Jeffersonian team must work together to figure out who the killer is. When the team discovers that the victim had a troubled past, some key witnesses from his earlier days become potential suspects. Meanwhile, handsome and charming Rodolfo Fuentes (guest star Ignacio Serricchio) has defected from Cuba, where he was a forensic anthropologist, but now needs an internship to complete his degree. Brennan agrees to try him out as an intern on a case, and Brennan and Booth discuss whether or not Christine should have a religious upbringing in the all-new 'The Repo Man in the Septic Tank' episode of BONES airing Monday, March 17th on FOX. TV: Mr Selfridge. Preview - Sunday 16 March on ITV. Agnes has been waiting for the postman to see if there's any news from George - but worryingly, nothing. Henri goes to Victor to talk about his concern about Agnes but he only seems to rile him. Why is Henri interfering? The tension grows and we realise that this is more than just concern about Agnes - are these are two men in love with the same woman? Believe is the most highly anticipated US drama of the year. Exciting and gripping, the brand new show comes from the brilliant minds of BAFTA, Emmy and Oscar® winning Executive Producers, Alfonso Cuarón (Gravity) and J.J. Abrams (Lost, Mission Impossible III, Star Trek). Cuarón, who was recently awarded the Academy Award® for Best Director for his film Gravity, also directs the first episode of Believe. Since she was born, Bo has had gifts she could neither fully understand nor control. But now the threat from malevolent forces that would use her abilities to control the world has also grown. With her life in jeopardy, Bo’s protector, Milton Winter, turns to an unlikely source to keep her safe – Tate, a wrongfully imprisoned death row inmate. Tate and Bo begin an extraordinary journey, one in which trust must be earned. Skouras and his efforts to capture Bo. Resurrection 1x02 "Unearth" - The Langstons, especially Sheriff Fred, are forced to confront secrets from their past they'd rather leave buried when Bellamy pushes to have Jacob's tomb exhumed. Maggie agrees to help Bellamy in his investigation, and Pastor Tom reaches out to Jacob, his childhood friend. The Richards family adjusts to Caleb's return, the second for Arcadia. But unlike Jacob, Caleb claims he has no memory of his death, on "Resurrection," Sunday, March 16th on ABC. Once Upon a Time 3x13 "Witch Hunt" - Something wicked has come to Storybrooke. And next Sunday, she's taking the town by storm! Once Upon a Time is all new next Sunday on ABC. Shaun Evans returns to the role of young Morse in the successful ITV crime drama Endeavour, starring Shaun Evans and Roger Allam. A brand new series of The Americans starts on ITV on Saturday 15th March at 9.20pm. The Americans focuses on the complex marriage of two KGB spies (Matthew Rhys and Keri Russell) posing as Americans in suburban Washington DC shortly after Ronald Reagan is elected President. Sir David Attenborough shines the spotlight on some of nature's evolutionary anomalies and how these curious animals continue to baffle and fascinate. Premieres Wednesday, March 19 at 10PM, only on HBO. The second single from the acclaimed new album Wanderlust, out now! Once Upon a Time in Wonderland 1x10 "Dirty Little Secrets" - In flashback, Cyrus' actions lead to a fateful day that leaves his mother near death, resulting in a decision that comes with a binding price he and his brothers have to pay. Meanwhile, after banding together, Alice, Cyrus, The Knave and the Red Queen split up into two groups that leaves the Knave and the Red Queen face to face with the fearful Jabberwocky, and Cyrus' guilt about his past tests his relationship with Alice, on "Once Upon a Time in Wonderland," Thursday, March 13th on ABC. The Tomorrow People 1x16 "Superhero" - Stephen (Robbie Amell) is still walking a fine line with his Ultra partner Hillary (guest star Alexa Vega), who continues to be suspicious of his loyalties. When the Tomorrow People and Ultra learn that there is a new break-out doing good for humans, they both want her on their side. Meanwhile, Morgan (guest star Carly Pope) takes a risk and betrays Jedikiah's (Mark Pellegrino) trust to help the Tomorrow People, but what Jedikiah discovers from Morgan is an even bigger surprise. Luke Mitchell, Peyton List and Aaron Yoo also star. Dermott Downs directed the episode written by Micah Schraft and Alex Katsnelson (#116). Revolution 2x16 "Exposition Boulevard" - Monroe (David Lyons), Charlie (Tracy Spiridakos) and Connor (Mat Vairo) make their way back to Willoughby, where they find that the Patriots' reeducation center is up and running. An encounter with two of the center's young cadets leaves Rachel (Elizabeth Mitchell) and Miles (Billy Burke) divided on the lengths they are willing to go in order to take down the Patriots. As Neville (Giancarlo Esposito) and Jason (JD Pardo) find a new ally for their mission, more about the history of the Patriots is revealed. Arrow 2x16 "Suicide Squad" - Following Slade's (Manu Bennett) return and his promise to make good on his threat to destroy Oliver's (Stephen Amell) loved ones, Oliver focuses all his energy on preparing for battle with his former friend. Sarah (Caity Lotz) tries to help but, fearing for her safety, Oliver pushes her away. Meanwhile, Diggle (David Ramsey) is recruited by Amanda Waller (guest star Cynthia Addai-Robinson) and A.R.G.U.S. to stop a warlord (guest star Lee Majdoub) he knew from his time in Afghanistan. Always the solider, Diggle agrees to help. However, he's not prepared when Amanda introduces him to the rest of the team -- Deadshot (guest star Michael Rowe), Bronze Tiger (guest star Michael Jai White) and Shrapnel (guest star Sean Maher), all criminals he and Arrow helped put away. Lyla (guest star Audrey Marie Anderson) defends the team and explains the world is a complicated place, but Diggle isn't sure he agrees. When the mission takes a dangerous turn, Diggle is forced to make a difficult decision. Larry Teng directed the episode written by Keto Shimizu & Bryan Q. Miller (#216). Supernatural 9x16 "Blade Runners" - Dean (Jensen Ackles) is frustrated when he can't reach Crowley (Mark Sheppard), who has promised to find The First Blade. When Crowley finally calls Sam (Jared Padalecki) and Dean, he tells them he fell off the wagon and has been injecting human blood and needs their help. To make matters worse, he had a demon (guest star Rebecca Marshall) helping him find blood, but she sold him out and told Abaddon that he and the Winchesters were searching for The First Blade. The brothers need to find the blade before Abaddon does, so they enlist the help of a former member of the Men of Letters (guest star Kavan Smith). Meanwhile, Nicole "Snooki" Polizzi appears in a cameo role. Serge Ladouceur directed the episode written by Brad Buckner & Eugenie Ross-Leming (#915). Marvel's Agents of SHIELD 1x15 "Yes Men" - When Coulson and his team are attacked by Lorelei—a deadly seductress who escaped from Asgard—Thor's Lady Sif, her longtime nemesis, steps in to try to save them, on "Marvel's Agents of S.H.I.E.L.D.," Tuesday, March 11th on ABC. New York – March 5, 2014 – AMC announced today it will premiere its upcoming new drama series “Halt and Catch Fire” on Sunday, June 1 at 10pm ET/PT. From AMC Studios, the series captures the rise of the PC era in the early 1980s, during which an unlikely trio – a visionary, an engineer and a prodigy – take personal and professional risks in the race to build a computer that will change the world as they know it. The 10-episode series is created by Chris Cantwell and Chris Rogers and executive produced by showrunner Jonathan Lisco (“Southland”) and Gran Via Production’s Mark Johnson (“Breaking Bad,” “Rectify,” Diner, Rain Man) and Melissa Bernstein (“Breaking Bad,” “Rectify”). Filmed on location in Atlanta, the series stars Lee Pace (Lincoln, “Pushing Daisies”) as Joe MacMillan, Scoot McNairy (Argo) as Gordon Clark, Mackenzie Davis (Smashed) as Cameron Howe, Kerry Bishé (Argo, Red State) as Donna Clark and Toby Huss (Cowboys & Aliens) as John Bosworth. In addition, “Halt and Catch Fire” will make its world debut this Saturday, March 8 at 11AM during the Film portion of the SXSW Festival in Austin, TX. An early screening of the pilot, held at the AMC Theater at Violet Crown Cinemas, will be followed by a panel discussion featuring Lisco, Cantwell, Rogers and select cast. “Halt and Catch Fire” is set roughly one year after IBM all but corners the market with the release of its first major product – the IBM PC. It is also the same year people realize the IBM PC’s fatal flaw, which quickly makes personal computing anyone’s game. 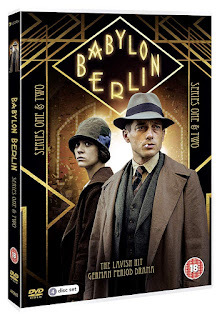 In this fictional drama, a former IBM executive, Joe McMillan (Lee Pace) plans to reverse engineer the flagship product of his former employer, he forces his current company, Cardiff Electric, into the personal computer race. McMillan enlists the help of Gordon Clark (Scoot McNairy), a once great engineer who dreams of creating a revolutionary product while trying to manage his initially unsupportive wife Donna (Kerry Bishé), and Cameron Howe (Mackenzie Davis), a volatile prodigy who puts her future in jeopardy to join MacMillan’s rogue PC project. While charting the changing culture of Texas' Silicon Prairie, tensions build within the group as they attempt to navigate the thin line between visionary and fraud, genius and delusion, and as their drive to do something that matters runs up against their ability to truly innovate. “Halt and Catch Fire” thrives on the spirit of innovation and explores what it’s like to stand at the forefront of something truly great and world-changing and work towards it, no matter the risk. Gilo Cardozo and his team like to do things differently. That's why, after setting the new world record for the longest solar powered flight ever recorded in 2009, he has continued to work to revolutionise human flight. Gilo shows us what can be achieved when you dare to challenge the notion that something can't be done! Thomasina Miers is the founder of Mexican restaurant Wahaca. What makes her restaurants unique is that they are 92% recyclable and she is taking on the challenge to fight food waste! Find out how she stands out from the crowd. Sam Conniff runs Livity, a marketing agency with a difference. See how Livity provides young people with little education and tough backgrounds, the training and support to create successful online campaigns. Sam believes it's essential that we challenge convention together. The Following 2x08 "The Messenger" - After a tragic turn of events, Ryan attempts to find the man who originally taught Joe to kill, in hopes of finding new answers. Meanwhile, at the compound, Joe tries to get his bearings, while Emma and Mandy wait for him to reveal his new plan in the all-new The Messenger episode of THE FOLLOWING airing Monday, March 10th on FOX. Hannibal 2x02 "Sakizuki" - The case of the human soup becomes clearer when a victim that has escaped from the killer's clutches washes downstream after a deadly fall, leaving valuable evidence for the BAU team to uncover. Hannibal Lecter (Mads Mikkelsen) assists on the case, sniffing out clues of his own from of the victim's body. Meanwhile, Will Graham (Hugh Dancy) begins a plan of manipulation from within the asylum, set on proving his own innocence. Hannibal is able to put the clues together before the BAU team, arriving at the killer's silo and helping him to carry out his fascinating, yet deadly tableau...just not in the way the killer intended. Jack (Laurence Fishburne) tries to deal with his guilt over not protecting Will and submits to mandated therapy after Alana Bloom's (Caroline Dhavernas) scathing report. To Jack's surprise the counseling turns out to be beneficial. The BAU team independently arrives at the silo, finding a human tapestry of forty-seven bodies patched together, the killer hidden in plain sight. 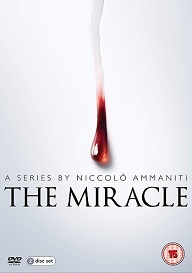 Awaiting his upcoming trial, Will is surprised by an unexpected guest—Bedelia du Maurier (Gillian Anderson)—who gives him a much-needed boost to his psyche. Also starring Hettienne Park and Aaron Abrams.